The stone is too heavy for Siela. Maybe when she levels up she will be able to move it? Maybe when a strong party member joins, he will be able to move it? How about mages? They can probably use magic spells to destroy the stone? I kept going back to the blocked paths or caves to see if I get lucky this time. In face, there is nothing you can do about it before you get to the part when you manage to help with the Queen. Once the Queen is healed, you then have a chance to finally meet this man in the cave in Gilbert's Path. He hides in the cave that's usually empty when you visit. Bring a riceball with you when you visit the man. He will give you a pickaxe. Guess what it is for? The man is there for another purpose. He will make you some equipment out of some items you show him later. Hey Enna, I'm farhan. I want to ask you how to find tear of earth and exctract catfish? And if we already get it, how to use? I mean how to heal princess??? I already have catfish and tear of earth, but how to use it? I go to the castle and the soldier say I'm sorry, I can't help you. Why? How to heal the princess?? The ingredients you have are for the dish "Soup of Life", which is recipe # 436. You will need Fire tung, Holy Fruit, plus your T. of earth, and Catfish ext, to make this soup. If I remember right, once you have all the ingredients, you will soon be able to get into the castle and make the soup to heal the Queen. How can we unlock the dish "Soup of life" ? You can only make this dish once. It is used to cure the Queen. There is no point trying to unlock it early because it will just happen when the story progress. How can i get the fire tung and the holy fruit? Hi Mark :) Fire tung is a drop from Basilisk ( a boss in Mount Gilbert ). Holy fruit is given to you by the people from Amiel Villla, once you help them defeat the dragon. Hey enna, im delta i wanna ask after they invited you to cook in the castle, what is the next??? After they invite you to cook in the castle, the Queen gets really sick and then you'll start to search a way to heal her. Milija, the elf girl, joins you very late in the game. You get her when you unlock Purple Forest, which won't happen very early in the game. It's very close to the mid game when you are becoming the Royal Chef. First of all, i would like to thank you for posting the blog abt adventure bar. Its really helpful! You can get it from Smilo fish, in Otts Fall / Lak. It's a drop from the fish after you defeat it. The location of this boss is one screen to the right of the exit screen. There is a lot of water in that map and you need to keep going further a bit more to lure the catfish out. Good luck. Make sure you already talk to Elias ( Alfine's rival ). He will do some research about catfish, and tell you the location on the next day. After that, you can fight the boss in Otts Lake and get Catfish Extract from it. When will the Queen manage us to help ? Do we need to rank up our restaurant? How can we unlock the dish " Soup of Life " ? The Queen will be really ill when you are invited to cook in the Castle. It will happen not long after you win the highest rank cooking contest. There are probably a few story lines so the next city to be unlocked can be different for everyone. Usually by leveling up your bar, killing bosses, talking to people, cooking dishes, gathering items can all help unlocking the next map. Dragon eggs can be dropped by the monsters in a few different areas - Gilbert's Path (Dragon Nest), Mount Gilbert, Mount Trulus, and ???. Have you defeated the boss in the desert? Have you got any unfinished tasks? Making any items? Try talk to people, go to the Church in town if you are stuck for ages. Also, keep on cooking and sale more in your bar. Bar rank is usually the key for the story to progress. When you say the town of Purple Forest, did you mean Amiel Villa? It's been so long since I finished this game. I remember saving the elf girl, Milija, before I was able to go to the town Amiel Villa. Maybe go visit Purple Forest again, and see if you can fight a boss to unlock the town. Visit Purple Forest again with Milija in your party. hi enna . 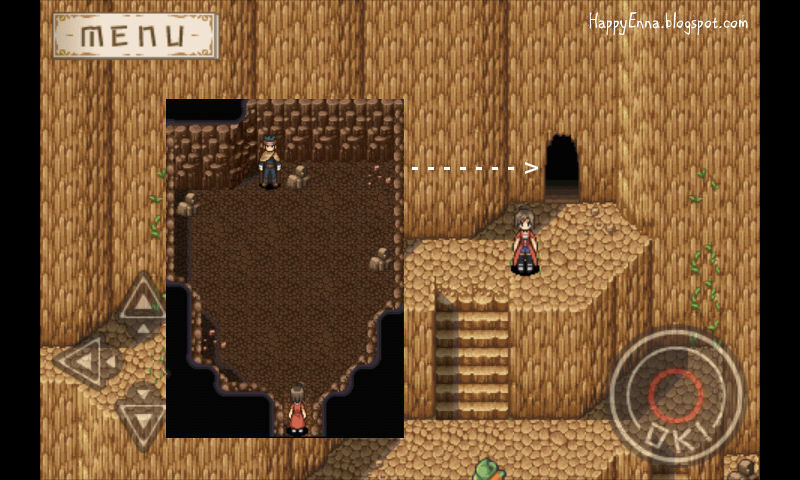 im stuck where i can find tear of earth? I actually don't remember but according to some past comments. Someone suggested that tear of earth can be found in the ruins in the desert. If I remember right, you need Linda to get into the ruins. It says you are not ready because you haven't beaten all bosses. The yellow portal will work once you killed all bosses. It is to bring you to the boss rush mode. after I open desert city of guid what should I have to go do something else? And If you can . mentioned order from the first to the end of the island where the island will be open? How can I unlock otts falls\Water? can i ask u? about the queen? where can i find her or to get a task? thanks to this blog,it really helps..this explains so many things i keep wondering while playing ! After you get a fishing rod from your customer, talk to fred and buy some fish baits. Go to map like Otts Fall/Lake and Fire Island. Stand near fish icon, and you know what to do..
From the bird statue near the entrance, go to the left through the wall until you find the real portal (blue) to get Tear of Earth. Hi Enna, I'm France and im a beginner playing AB. I can't seem to get pst Fire Island. I just defeated that large squid. and the island is still named Uninhabited Island. The monsters are too strong. What level do I need to be to get past it? and Which party members should i bring with me? Right now i Have siela, aLter and fred. Looks like your are underleveled. You can go back to Gilbert's Path and farm for 99 Garuda Eggs, then make Garbonara dish for your team. After 2 or 3 rounds of 99 Garbonaras. They should strong enough to get pass Fire Island with ease (and maybe farm for Sea Urchin at Fire Island too, for super fast level up). I do not know were I might find a spider venom for one of my mages potions. If you can, please tell me a where it is or how to get it. Bagaimana menemukan bahan-bahan soup of life?